With its golden-tipped temples, rich history and tremendous food scene, it’s no wonder that Chiang Mai lures visitors from all over the world, and is one of the most popular destinations in Southeast Asia for Hongkongers looking for a short trip to relax and refuel. 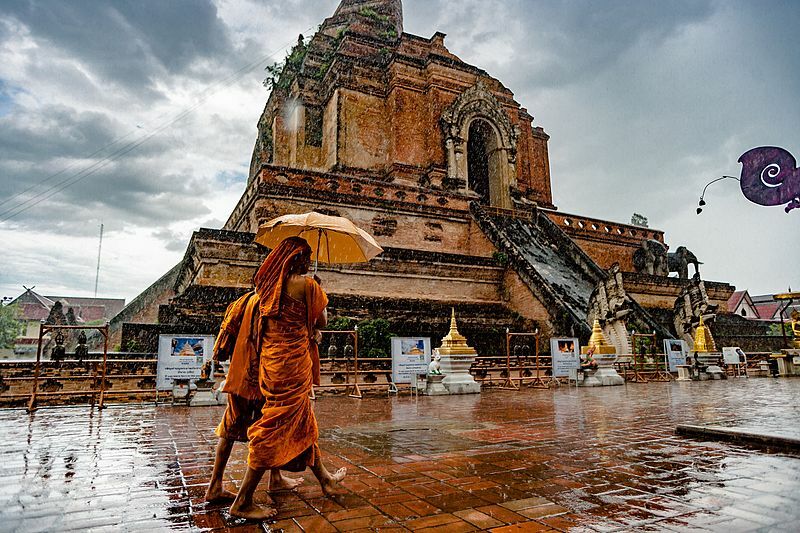 Thailand’s largest city behind Bangkok, Chiang Mai has a wealth of experiences to explore — grounded in its over 300 Buddhist temples and origins dating back to 1296 when it was first founded in the Kingdom of Lanna. Now, tourists flock to this intriguing place for elephant bathing to nature gazing, temple hopping to chowing down on some of the best street food in the country. 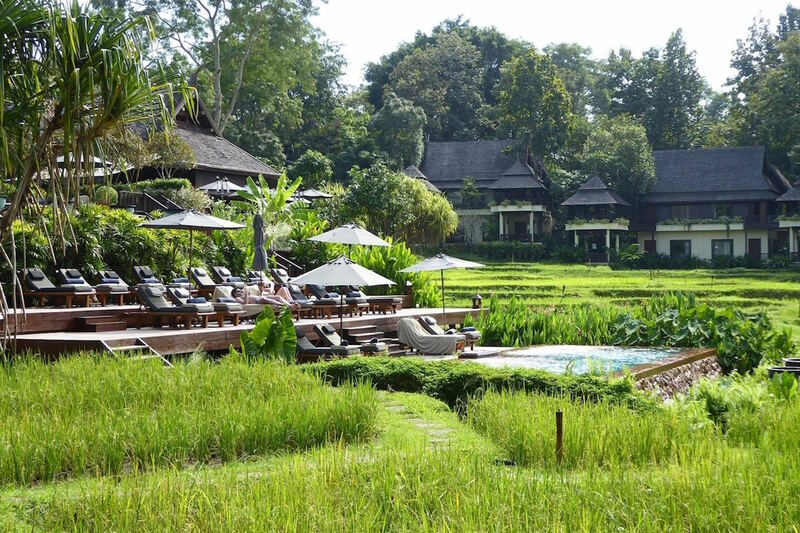 For first-timers, here’s what not to miss on a getaway to Chiang Mai. 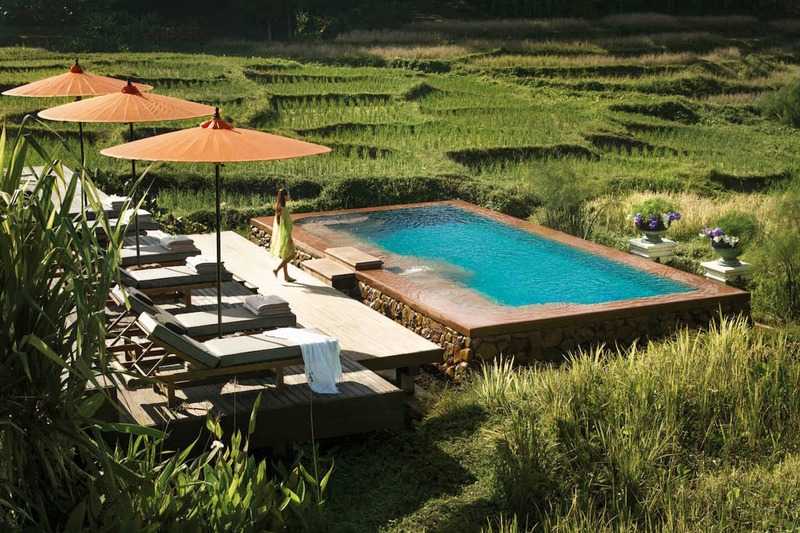 The bi-level infinity pools of the Four Seasons look out over tranquil rice paddies. The resort offers a complete respite from city life. Rim Thai Kitchen dishes up local specialties from khao soi to traditional wok dishes. A tropical sanctuary caters to honeymooners and families alike. Nestled amongst the lush greenery and untamed jungle of the Mae Rim district just north of the old city, the Four Seasons Resort Chiang Mai is unquestionably one of the most luxurious resorts not just in Chiang Mai but in all of Thailand — with 64 Lanna-style pavilions, each with their own private terrace spread across a 60-acre property complete with terraced rice fields, lily ponds and lakes. Visitors flock here just to admire the striking design and architecture which captures the intrigue and mystery of medieval Chiang Mai, designed by local architect Rachen Intawong. 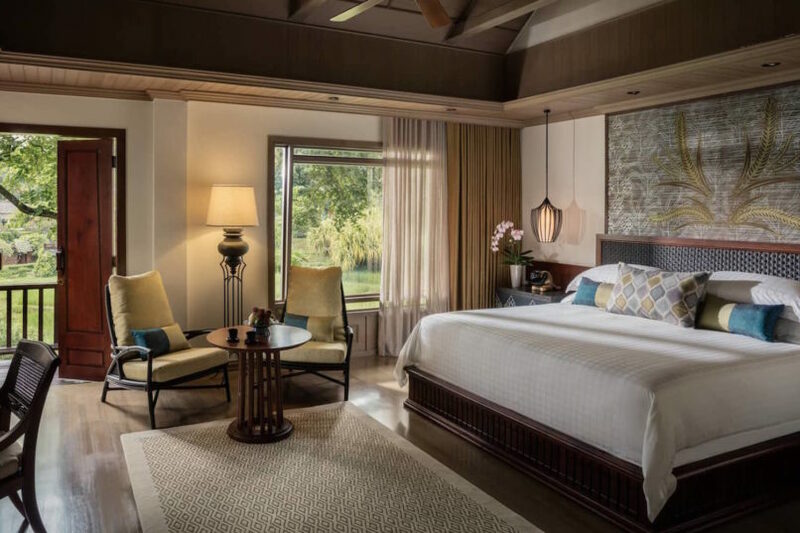 A total of 123 rooms includes a colourful mix of villas and suites with colonial-style accents and vaulted ceilings, complete with plunge pools and modern ensuite bathrooms. 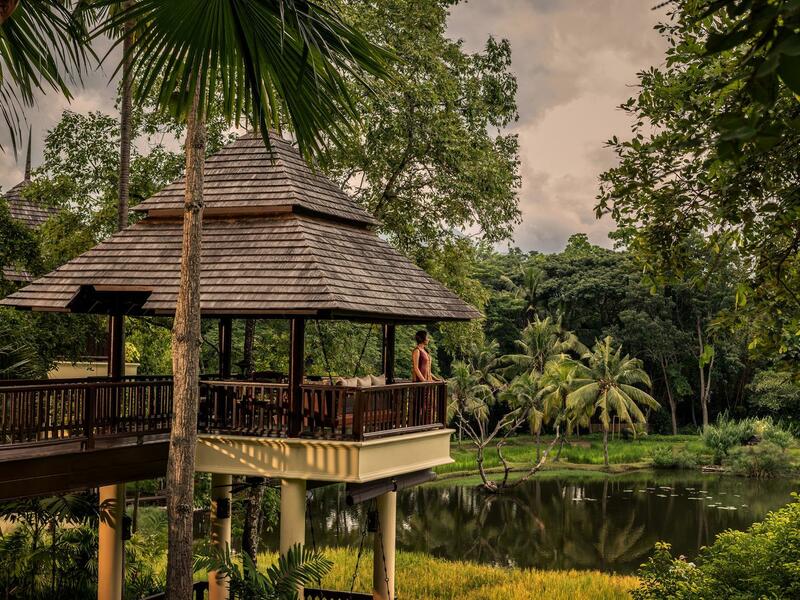 From the comfort of plush beds or plunge pools, guests get panoramic views of the paddy fields and immaculately maintained landscape, while stepping out onto the verandah affords a quiet moment to be immersed in nature and privacy. Rooms are grand in the signature style associated with the Four Seasons — the historical colonial-style touches combining with modern amenities such as opulent bedding, dual-vanity basins and bathtubs surrounded in 270-degree glass views. Here, modernity and tradition commingle effortlessly, with guests able to fully experience the deep-seated traditions of local rural life, from observing the daily Farmer’s Parade, where the 40 or so onsite farmers celebrate the day’s work; to greeting the two resident water buffalo as they bathe in the sun. Away from the congestion of the city centre, guests can completely unwind and relax — in fact, it’d be easy to spend a weekend at the Four Seasons doing nothing at all, days filled with leisurely ambles through the terraced rice fields, kicking back pool-side with a good book, and sidling up to the bar for a late afternoon drink. For a window into local cuisine, Rim Tai Kitchen serves up everything from street fare to authentic regional specialties in a breezy open-air setting, while KHAO acts as the all-day dining option drawing from the breadth of Thailand, Burmese and Yunanese cuisines with a refreshing craft cocktail and wine list to match. 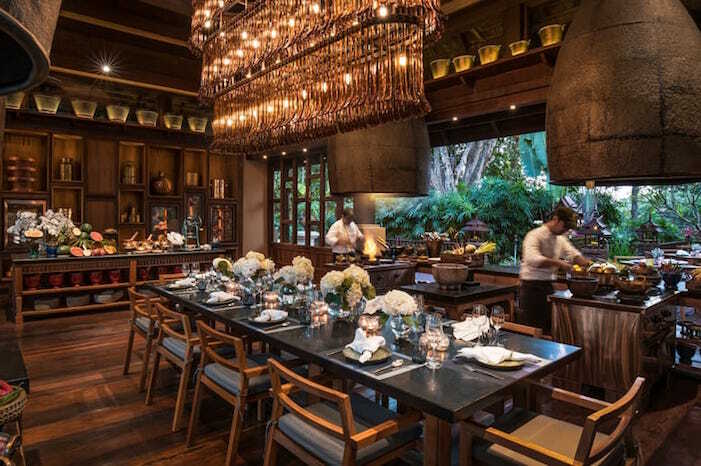 From within the comfort of the resort you can dive straight into the local cuisine and culture by signing up for a private cooking class, in our opinion one of the best activities offered at the Four Seasons. Led by one of the affable chefs at Rim Thai Kitchen, the activity begins with a journey to the bustling local market, with an insightful introduction into different types of local produce and ingredients, and the chance to sniff, sample and purchase everything from freshly pounded curry to Thai basil leaves and long peppers. Back at the resort, you’ll take a tour of the onsite organic garden, before bunkering down in an outside pavilion armed with two giant woks and all of your ingredients prepped and laid out before you. 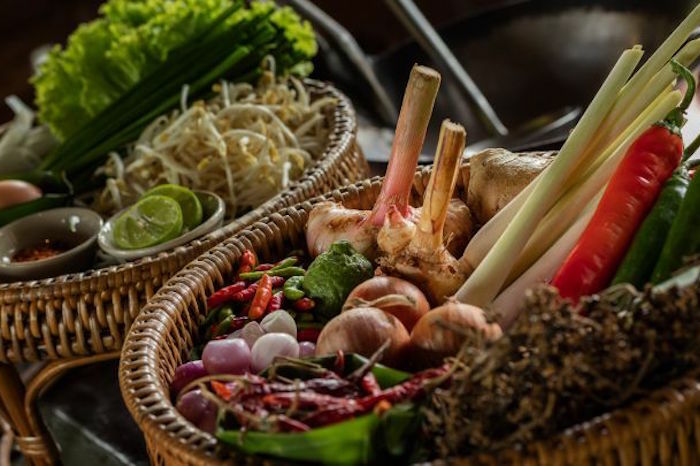 You’ll then be guided step-by-step to make some of the signature northern Thai dishes, including intricacies such as carving decorative flowers from tomatoes and the proper way to use a mortar and pestle for a papaya salad — followed by an elegant lunch alfresco to savour the fruits of your labour. A full day should be reserved for a tour of the old temples — most of them relics from the ancient Lanna Kingdom, which spanned northern Thailand and parts of Myanmar, China and Laos. Within the walled old city, you’ll find the beautiful Wat Phra Singh, one of the renowned temples and a grand example of classic Lanna architecture. 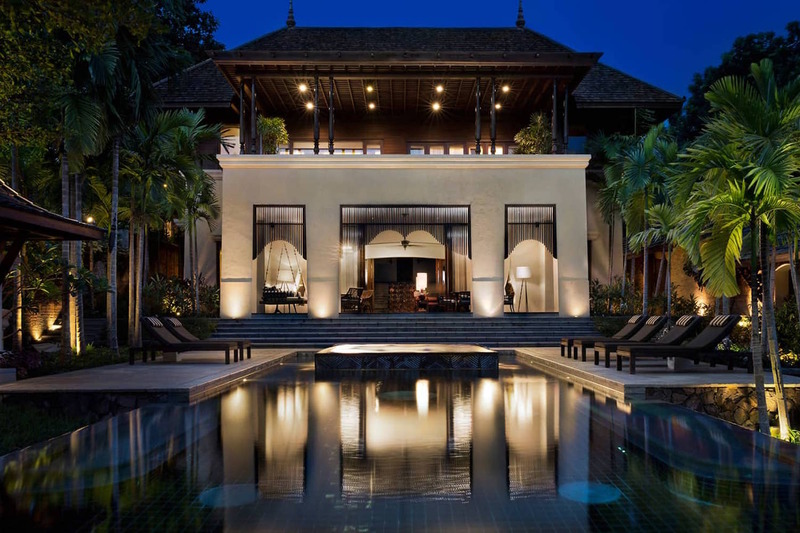 Its blend of indoor/outdoor spaces and trimmed courtyards allow for guests to relax from a day of sightseeing while admiring the lavish monastery. Also not to be missed is Wat Chedi Luang, with its elephant statues and famed naga (water serpent) staircase; and Wat Suan Dok further west, distinctive for its bell-shaped gold pagoda and large number of white chedis, the tallest of which stands at 48 metres high. 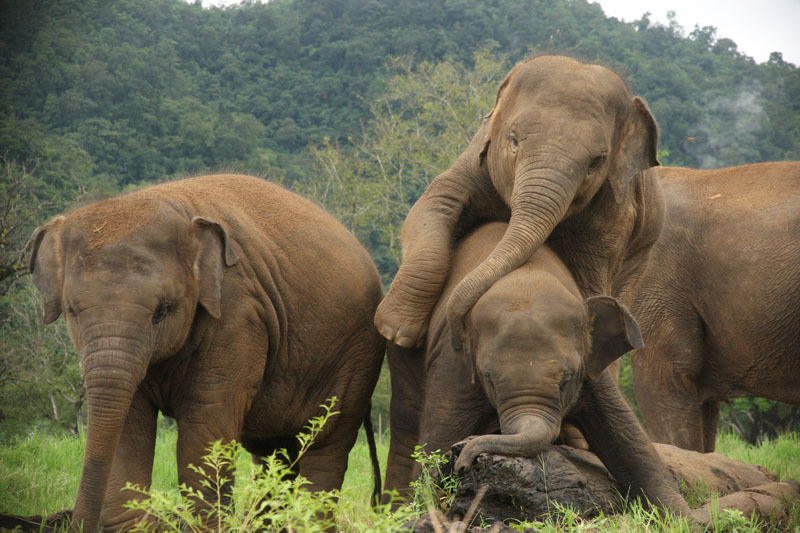 Animal lovers won’t want to miss a visit to the Elephant Nature Park, a truly ethical animal sanctuary located about an hour from the old city. Harbouring around 70 or so elephants, this rescue centre rehabilitates elephants rescued from illegal tourism or logging activities, and also has a Visit & Volunteer Program where guests can stay for a day or a week and work directly with the elephants. Here you can feed them, bathe them, learn about their habits, favourite snacks and mannerisms from the confines of one of the most reputable elephant rescue centres in Thailand. Chiang Mai remains the sleepier, slower-paced sibling to the thriving Bangkok down south, but the more freewheeling and free-thinking atmosphere has spun off into a vibrantly growing arts and cafe scene. Outside of the old city flourishes a true hipster enclave, with creative cafes, galleries and the like slowly shifting the dynamic of this historically rich area. 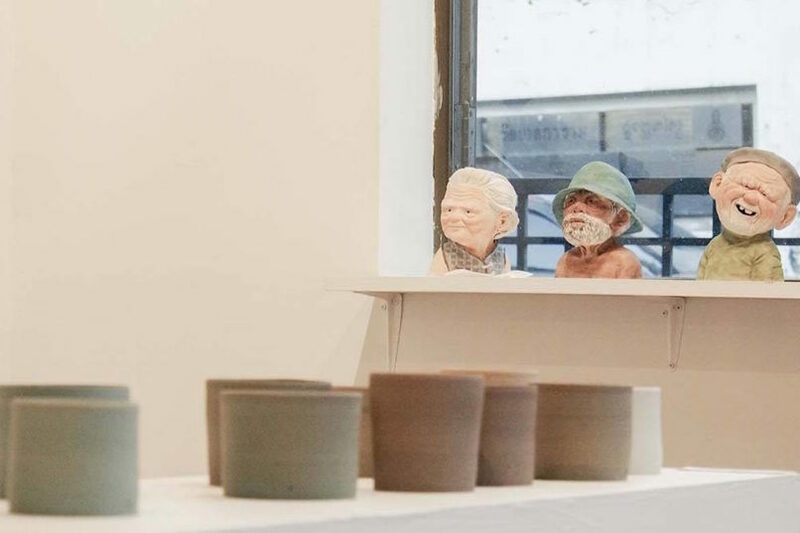 Check out Woo Cafe, which combines a cafe, art gallery and lifestyle space for java lovers and art enthusiasts alike. Then, marvel at the latte art at Ristr8to Coffee Chiang Mai, or pick up a slice of pineapple pie while browsing local artisan wares and ceramics at The Meeting Room Art Cafe. From paddle boating down the river to mountain cycling and rock climbing — Chiang Mai is a hot bed of bucket list experiences just waiting for adrenaline junkies and nature lovers to tick off their list. 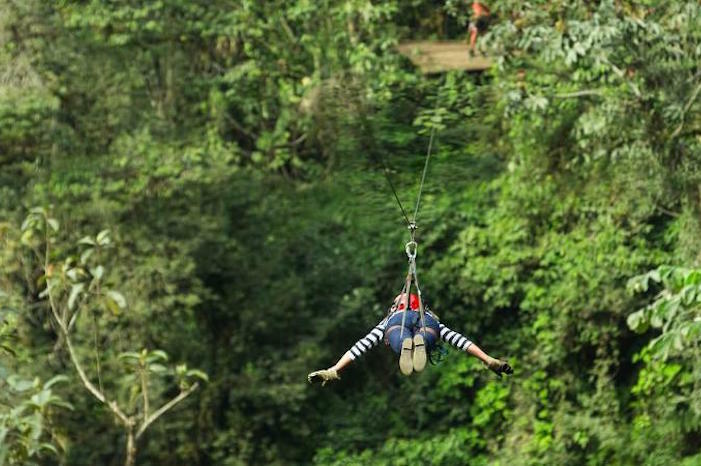 After you get acquainted with the snaking mountain trails by bike or take on the rapids in a whitewater rafting excursion, make a booking with Flight of the Gibbon (so named for the wild gibbon apes you’ll befriend as you fly through the forest) for their extreme ziplining adventure through the treetops, complete with sky bridges and a tasty Thai lunch to cap it off. 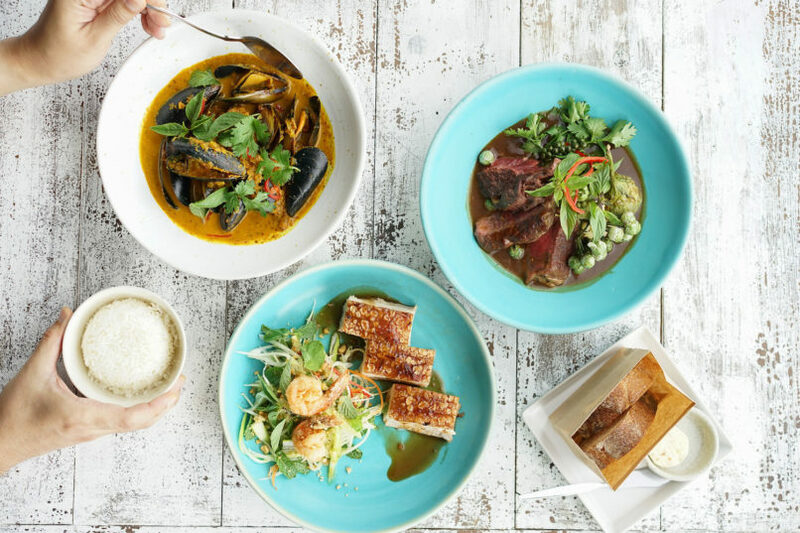 A true East-meets-West bistro, Ginger & Kafe is as quirky as its moniker suggests — a restaurant and adjoining art house splashed with everything from chandeliers to monkey-themed wallpaper, with a fusion-inspired menu to match. Go for the pork ribs in tamarind sauce, sweet and sour crispy rice noodles with soft shell crab, Thai-style salmon tartare, or perhaps pop by in the afternoon for a British-themed afternoon tea instead complete with warm homemade scones and raspberry jam. You can’t pay a visit to Chiang Mai without trying khao soi: The de facto signature dish of northern Thailand has become universally beloved for its fragrant curry-based broth laced with copious amounts of coconut cream in which lay tender, fall-apart braised chicken thighs, a tangle of yellow egg noodles, a handful of herbs and pickled mustard greens, and the crunch of fried noodles to top it off. 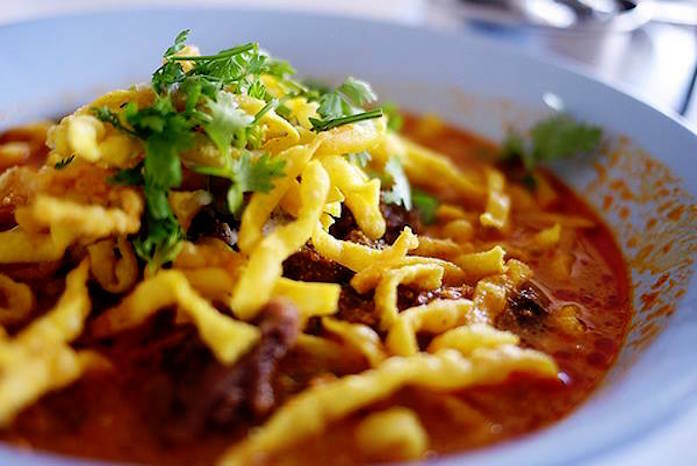 For one of the best khao soi in town, head to Khao Soi Mae Sai, a favourite with both locals and tourists alike, with lunchtime hours going until 4pm so you can easily get your fix. 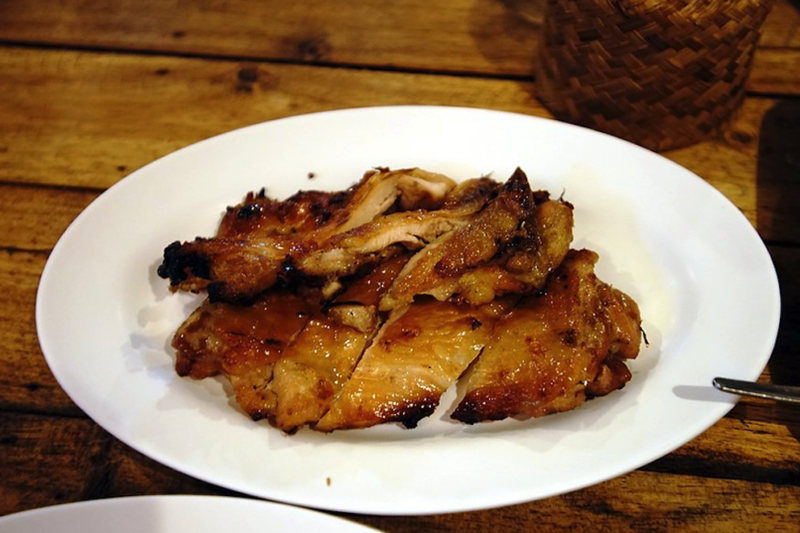 For the famous Isaan-style Thai roast chicken, Cherng Doi Roast Chicken has earned its reputation as one of the best in town, with its consistent delivery of tender and juicy meat covered in a bark of appropriately crisped up golden brown skin. The whole chickens here are flattened before being marinated and then roasted over an open fire to impart maximum flavour. Pair it with accompanying dishes such as the Thai-style glass noodle salad and aromatic tom yum soup to round out a hearty meal. 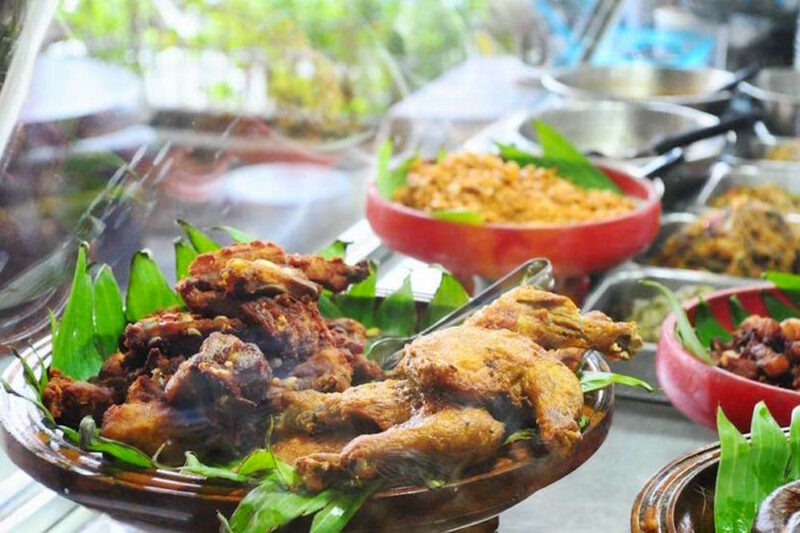 Specialising in the broad spectrum of northern Thai cuisine, Huen Phen is the place to try regional specialties from larb muang moon (the north’s version of the ubiquitous Thai larb salad), tam kanun or young jackfruit salad, and khao ngiaw, with steamed rice with pork blood wrapped in bamboo leaves. Just south of the temple Wat Chedi Luang, Huen Phen is a solid spot to hit after a day of temple hopping for a traditional taste of Thai food. Made famous on an episode of “Parts Unknown” by Anthony Bourdain, the Cowboy Lady might be on every tourist’s agenda these days, but we can attest that the food remains as humble, cheap and mouthwatering as ever, despite the throngs of guide book carrying, fresh-faced foodies who pay pilgrimage to this modest food stall. 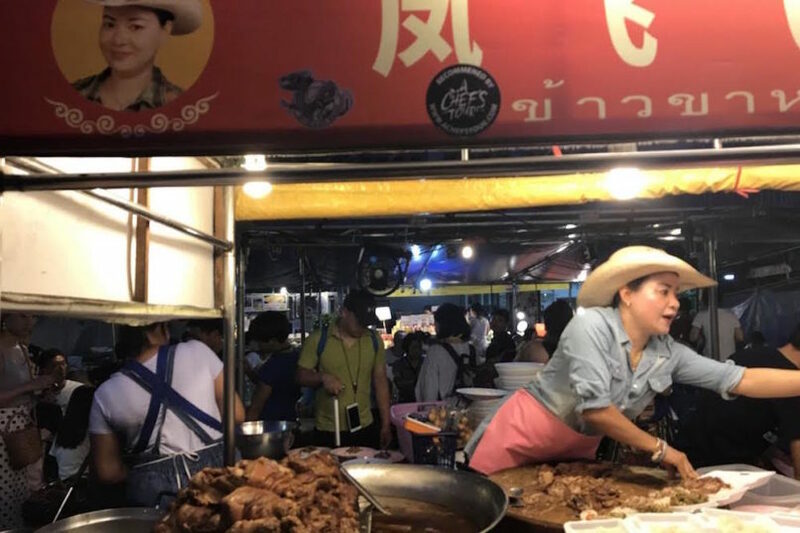 Still wearing her signature cowboy hat to this day, the Cowboy Lady chops, hacks and pulls away the fork-tender khao kha moo pork leg stew, then scoops it over the rice so each grain gets seeped with delicious gravy. Paired with a hard boiled egg, it’s a simple a meal as you can get, yet one that hits the spot in every way. 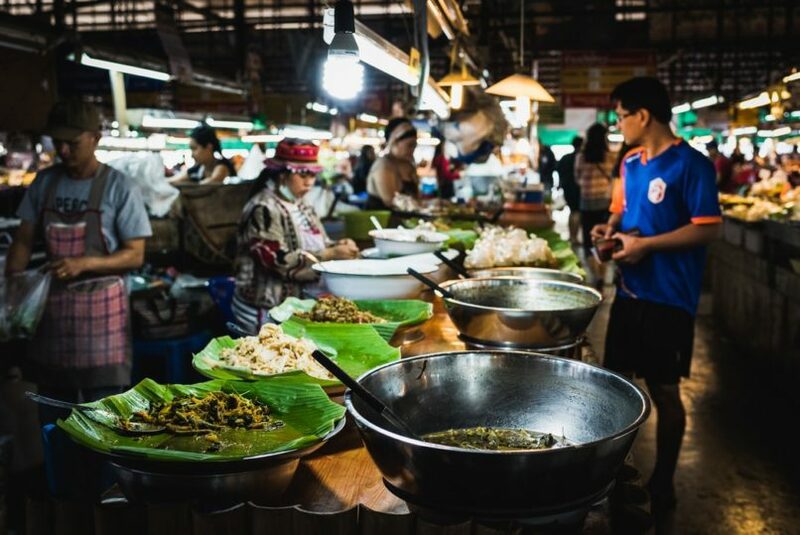 When it comes down to it, the best way to taste the city is through its ubiquitous street food stalls, either through a guided food tour (we’d recommend Chiang Mai Food Tours), or by strolling through the various markets. The night bazaar is an daily extravaganza, while the Sunday Market is the city’s biggest and busiest — stretching from Tha Pae Gate to Ratchadamnoen Avenue, from 4pm until midnight. Weave through the various vendors with their handmade souvenirs and trinkets, and stop for whatever catches your eye at dozens of street food stands slinging everything from spicy Thai sausages to green curry, mango sticky rice, authentic Thai noodles, grilled skewers and noodle soups for as little as 40 baht (HK$10) per meal.